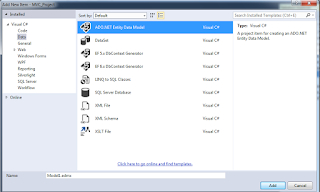 In this article I am going to explain how Create, read, update and Delete (CRUD) opratuion using Store procedure in asp.net mvc. Now move to visual studio. Add a new empty MVC project. 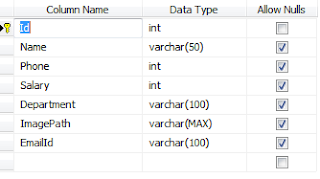 In this example I am using data first approach. 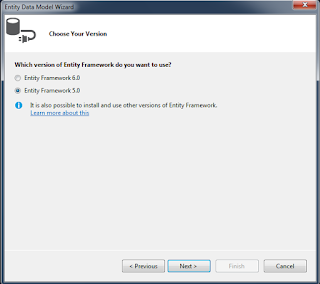 So I am going to add the entity data model. Right click on Models folder >> Add >> New Item. Add new items template will be open in pop up. 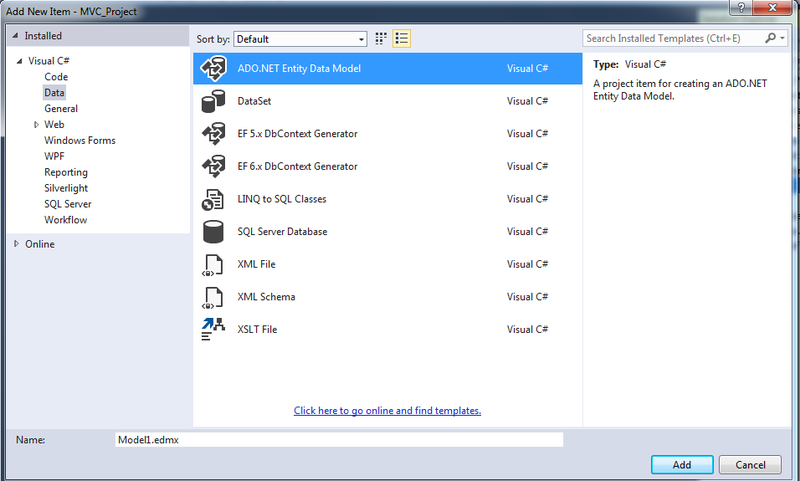 Click on data and add the ADO.net Entity Data Model. 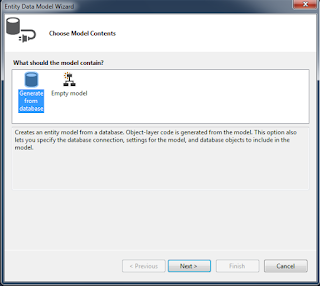 Entity data model wizard will be started. 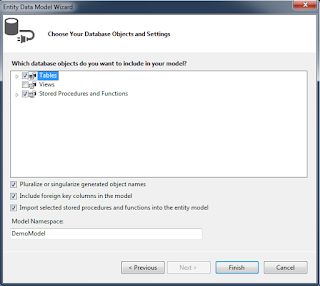 Select Generate from database and click on next button. Now connection properties window will be open. 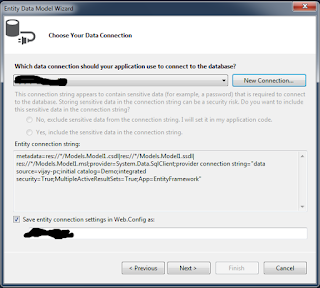 If you already configured the data connection then choose it and click on next button. If not then configure all the given properties. 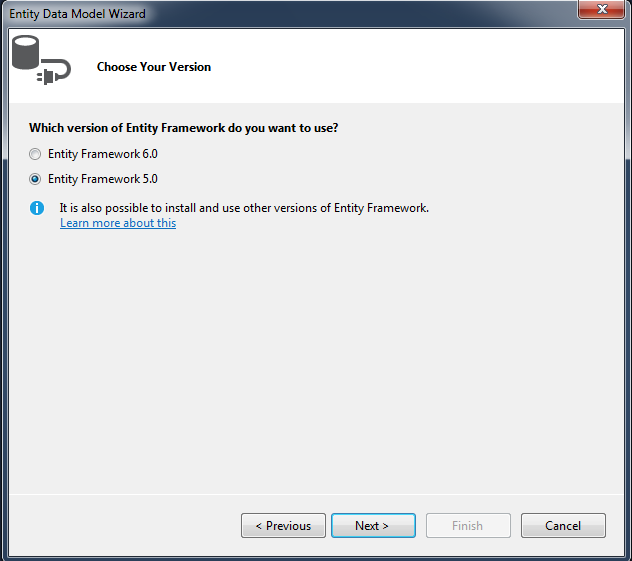 Choose the entity framework version. 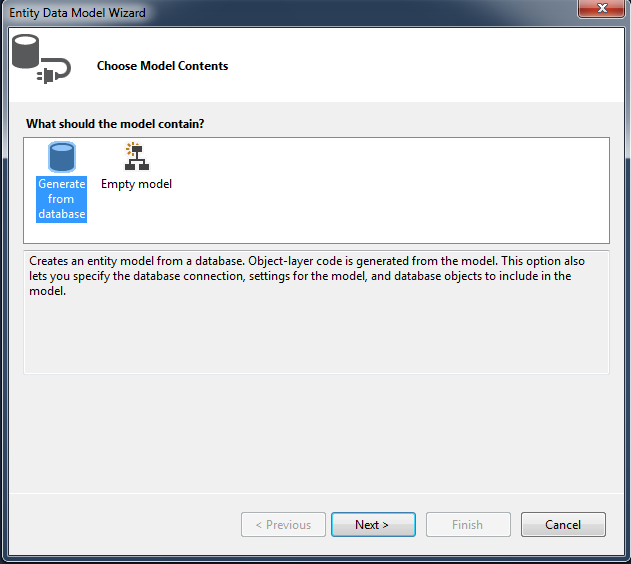 Choose the database objects that you want to use. I want to use Table and Store procedure. Build the project. 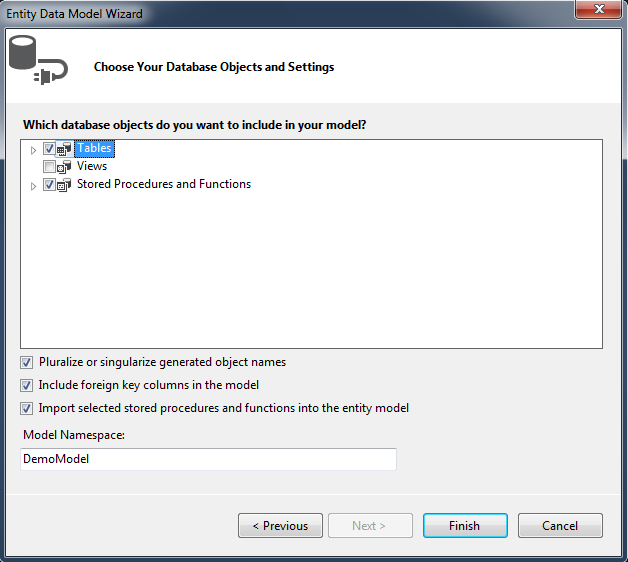 Now you can see all the class and store procedure in model. I have added empty controller. Create object of data context. Add the view for all action Index. Create, update and Delete.